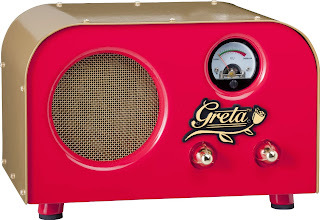 I don’t know how I missed seeing the Fender Pawn Shop Special Greta guitar amplifiers when they were being produced, but I only recently found out about them. This model was introduced at the 2012 NAMM show and less than two years later they are out of production. 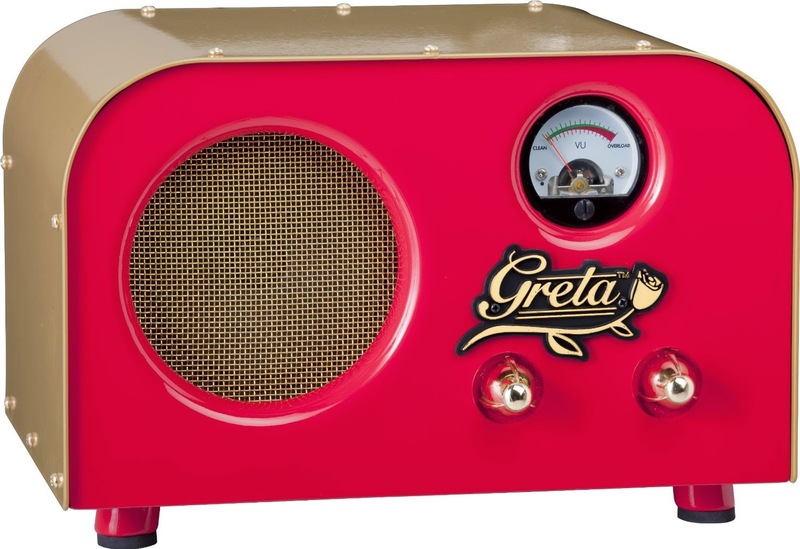 The Greta has vintage tabletop radio styling with gaudy red and gold paint, and just a speaker, a VU meter and a couple of knobs on the front. The idea was that it would be a nice amp for the living room that did not have the industrial look of most combo practice amps. It is not terribly big, measuring in at 6.75 x 10 x 7.25 inches, and weighing in at a little less than 9 pounds. That speaker is an 8-ohm Fender “special design” (whatever that means), and the two knobs are for volume and tone. 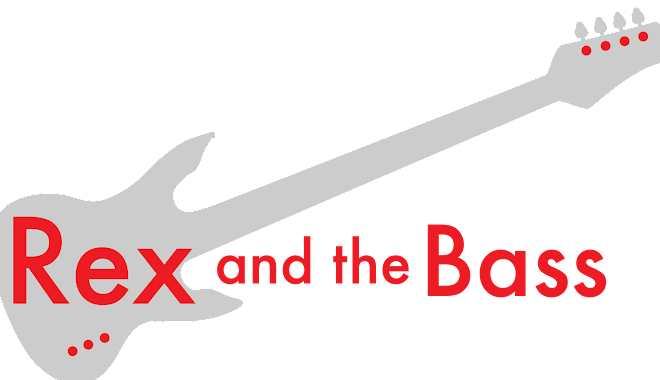 Around back is a ¼-inch guitar input, an 1/8-inch AUX in, an 8-ohm speaker out, a ¼-inch line out, a power switch and an IEC power cable jack. This is a 2-watt amplifier, and Fender tucked a 12AT7 output tube and a 12AX7 preamp tube inside. This makes it loud enough for practicing around the house, but not for much of anything else. You could plug another cabinet into the speaker out (which disables the internal speaker), but it is still not going to yield that much more volume. The Greta overdrives quickly, which is not too surprising, and it is fun to watch the VU meter head from “CLEAN” to “OVERLOAD” in a jiffy. The overdriven tone is harsh and grating, and just playing it by itself it is hard to tell if it is the amp or the crummy little speaker that is the problem. If you back of the instrument volume, it does have a nice warm tone. When plugging it into another cabinet, it is obvious that the troubles are related to the tubes, as just does not have the usual 6L6 / 6V6 Fender sound. Maybe the 12AT7 was cheaper, and these are pretty cheap Chinese tubes to start with. You are not going to choose to use this for a pre-amp or for recording. So what good is the Fender Greta? It is good for exactly what it was set out to do, which is acting as a living room practice amp. You can plug your iPod into the back and practice along at reasonable volume levels. It is also ok to just use it as a speaker for your iPod, too. It does what it was intended to do, and not a whole lot more. They probably could have saved a couple of bucks by leaving the speaker and line outs back in the design studio, as I cannot imagine anybody ever using them. The inclusion of these parts set the users' expectations too high. Maybe that is why they do not make them anymore. 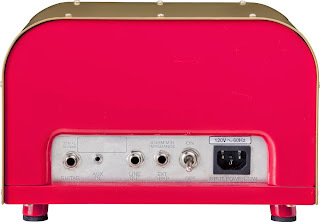 When the Fender Pawn Shop Special Greta amplifiers were on the market they had a list price of $259.99 and a street price of $199.99, and when Guitar Center cleared them out they could be picked up for $99.99. Though no major retailers carry them anymore, you can still find new one online for around $200. If you like the looks and your expectations are not too high, this might be a nice addition to you living room!